Continuous positive airway pressure, or CPAP, appears to improve glycemic control in patients with obstructive sleep apnea (OSA) and type 2 diabetes that is not well controlled, according to research published in the American Thoracic Society’s American Journal of Respiratory and Critical Care Medicine. 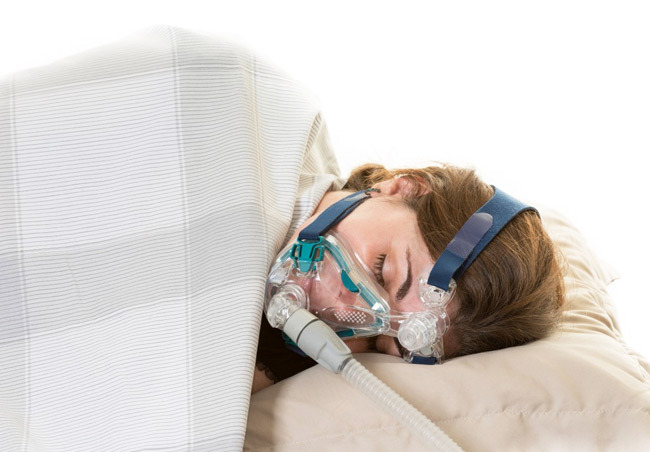 “Effect of CPAP on glycemic control in patients with obstructive sleep apnea and type 2 diabetes: A randomized clinical trial,” is believed to be the first randomized controlled trial of its kind. • Decrease in glycated hemoglobin (HbA1c) levels at 6 months. (The decrease at 3 months was not statistically significant.) • Improvement in insulin sensitivity at 3 and 6 months. • Decrease in insulin resistance at 6 months. Researchers also found CPAP participants experienced lower levels of the inflammatory molecules IL-1ß and IL-6 and higher levels of the hormone adiponectin, an important glucose regulator. The study done by American Thoracic Society (ATS).